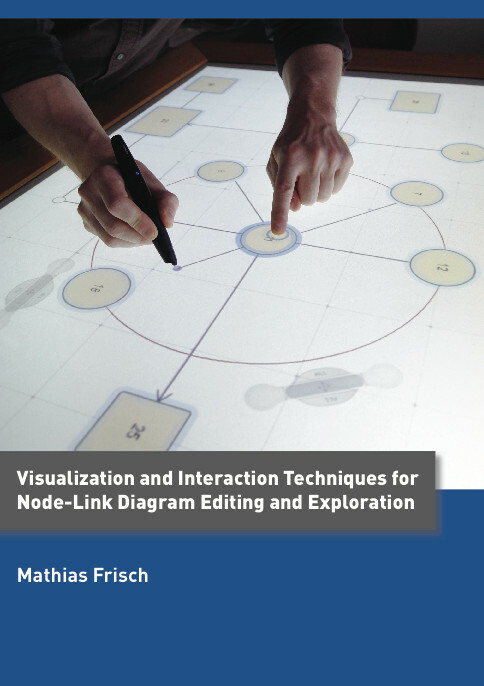 Visualizations of node-link diagrams play a very important role in various domains such as software modeling, biology or project management. In many application scenarios diagrams are sketched on paper and whiteboards, or they are created by digital editing tools. However, these approaches have several drawbacks. Editing by mouse-based interaction is often cumbersome, there is no seamless integration of hand-drawn sketches and avigation in large diagrams on small screens is not yet sufficiently supported. consider the needs of domain experts. Beyond that, digital pen and paper techniques are presented. They seamlessly integrate hand-drawn diagrams with digital representations. In addition to that, diagram navigation tasks are considered by contributing an off-screen visualization technique. It applies interactive proxy elements arranged along the border of the viewport. They represent off-screen nodes and provide a contextual view of diagram parts currently clipped. Beyond that, proxy elements serve as links to off-screen nodes which allows quick navigation. For this approach interaction techniques for multitouch and pen input were developed as well. To determine the most promising gestures and approaches, the presented techniques have been developed by iterative design processes and were evaluated in lab studies. The results were implemented in a single system and can serve as a basis for further research concerning diagram editing and exploration. However, they have also the potential to be adapted to other application domains as well.